The Canon Copier ImageClass MF6530 is a duplex 3 in 1 machine that accommodates printing, copying and color scanning at both high quality and volume. The Canon Copier ImageClass MF6530, with its speed and performance in handling multiple tasks with big demands, looks to address the needs of a small to medium scale offices and businesses in a steady and solid fashion. The Canon Copier ImageClass MF6530 is built to handle high volume printing and copying, as evinced in its features and design layout. The MF6530 has dimensions of 20.5"(W) x 17.30"(D) x 17.8"(H) a weight of 50.1 lbs. 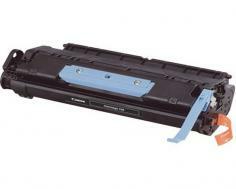 loaded with its toner cartridge (weight is at 52.3 with toner cartridge). Quite hefty looking and heavy set, the MF6530 has a gray side panel extending to its output tray, and a white-colored body with its multi-purpose tray sitting in its mid-section, where the menu panel display and controls can also be found. The MF6530 has a 500-sheet front-loading tray capacity - easily double the capacity of most multi-function printers in the market - with a 100-sheet multi-purpose tray for printing on other types of media such as transparencies, envelopes, labels and other special types of paper. As if this huge paper capacity is not enough to prove the MF6530 can handle high volume tasks, it comes with an automatic duplex function, through its 50-sheet Duplex Automatic Document Feeder. This feature is enabled for printing, scanning and copying functions, and allows for 2-sided document output on the different platforms of the MF6530. Printing speed is also an essential trait of the MF6530, with a 23-page per minute rate for printing (monochrome). This gives the MF6530 at least a 3-page advantage over other multi-function printers in its class and caliber. Monochrome printing yields a maximum of 600 x600 dots per inch resolution, while quality prints can increase its resolution to a maximum 12,000 x 600 dpi. The MF6530's speed is certainly optimized for monochrome prints to be done in bulk, while still producing a good quality color printouts. Copy function also has a 600 x 600 dpi for its basic resolution, and may be utilized for up to 1200 x 600 dpi boot. The MF6530 retains a standard copy function trait, which is zoom, for about 50-200% in 1% increments. This is quite impressive for a machine that functions primarily as printer. Half tone levels are at 256, while reduction and enlargement are at 50%, 64%, 78%, 129% and 200% for the preset values. The MF6530 also comes in with a shared 64MB copy memory. Scanning resolutions are at a premium, with values of up to 9600 dpi for interpolated resolution and optical resolution of 600 x 600 dpi, through Canon's Color Contact Image Sensor. With a standard interface of high-speed USB, the MF6530 supports Windows and MAC OS platforms. The MF6530 is also energy efficient, with its Energy Saver mode at 5 watts and a maximum power consumption of 780W. 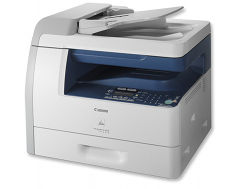 The MF6530 is included in the Canon Generation Green line of products and is Energy Star qualified. The MF6530 falls short when it comes to its user interface, with a small LCD display unit without backlight and a confusing paper tray set up including the MF6530 software. One would need to undergo an intricate set up of its software in order not to encounter problems in further using the MF6530. Review it: "Canon imageCLASS MF6530 "
As a high-volume multi-function printer, the MF6530 comes in with a toner cartridge yield of 5,000 pages based on a 5% coverage, while the maximum monthly duty cycle is at 15,000 pages. 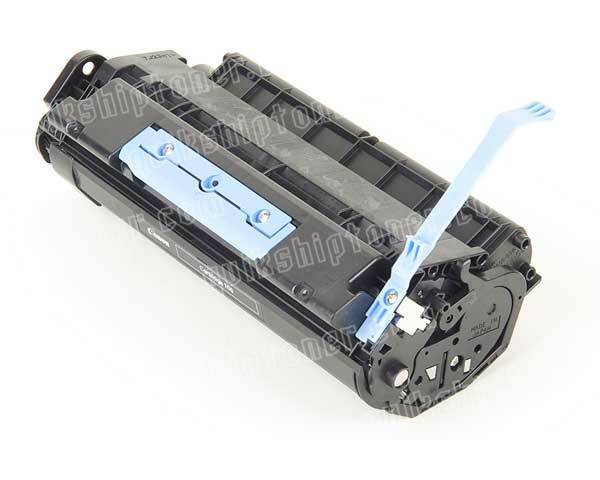 As with previous multi-function printers of Canon, the MF6530 uses a single cartridge system and a provides a Toner Saver mode to enhance and prolong cartridge usage and lifespan. Toner cartridge replacements are available with the same specifications as mentioned at an affordable price, allowing the MF6530 to save on cost consumables and costs incurred per page.